We're used to seeing free guitar amp sims, but how about a trio of instruments that emulate the instrument itself? There's also a synth and a plug-in that celebrates randomness. 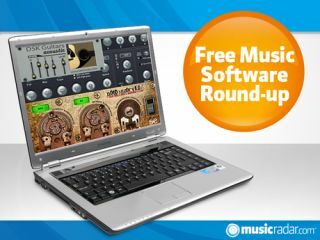 The name says it all really: three separate plug-ins that emulate acoustic, steel and nylon guitars. A very similar GUI is used on each of them, and keeps things simple by presenting you with just ADSR and level controls. DSK has been busy, for as well as releasing those three virtual guitars, it's given us this two oscillator synth. Each of these can choose from five waveforms, and you've also got a filter, amp envelope and delay effect. 60 presets are included, so there are plenty of sonic starting points. n0t0mizor gives you a simple way of generating randomised MIDI notes, though you can define certain parameters yourself. It doesn't affect any MIDI information other than pitch, and its output can either be used inside your DAW or sent to an external instrument.